This is the important pilgrimage site of this district. It can be reached from Pharenda tehsil headquarter at Brijmanganj road by going 0.5 km to 02 km from the road. In ancient times, this place was covered with a thick forest called Adravan. Here the holy temple of Goddess Durga is located on the banks of the ancient river (now Nalla) called Pahh. According to public faith and religious beliefs, this temple of God was established during the Mahabharata period by earning itself in the time of Pandavas’ unknown period. The ancient name of this religious place was ‘Adaruna Devi Than’, which is now known as Lehda Devi Temple. According to ancient folk belief, in the Mahabharata, Pandavas spent most of their time in this narrow ‘Ardravan’ period. During this period, Arjuna worshiped Vanadevi here. Pleased with worship, Vanadevi mother Bhagwati Durga had given Arjuna many unmatched powers. Thereafter, Arjun had established this Shakti Peeth as per the order of Mother Bhagwati. Later, according to another rainbow, which became famous as ‘Aadorna Devi’, in the ancient times, when a young woman crossing the ‘Pah river’ in a boat, the boatman wanted to touch her with bad intention, then the Goddess Mother of that girl Defense itself was manifested, and the sailors had given Samadhi in the same water, including the boat. The significance of this place is also expressed in this event. At a distance from the temple, an ancient place of worship (hut) is located in a number of boundaries, where many saints are the samadhi of saints, who remained associated with this meditation and remained penurious in their lifetime. In these Sadhus Yogis, the name of a famous yogi Baba Vanshidhar is still taken with respect by the saints. He has been renowned as a perfect yogi. On the Yoga force, he did many miracles and works of welfare. Many wild animals and animals, influenced by Baba’s power and devotion, remain obsessed with his command. Among them, a lion and a crocodile still become the subject of discussion, which Baba Vanshidhar had made a vegetarian creature. From the district headquarters, there are two ancient Shivlinga, (made from black stone blocks) on two featherbed dunes near Katahra village on the edge of the west coast. On one of these pilgrims, local villagers have constructed a temple in recent years. But Shivalinga situated on the other mound is present under the open sky. Based on historical evidence, this area has been associated with Shaib and Buddhists. Presently, a cultural festival has been organized for years on the occasion of Shivratri. Walking through the Pharenda Sonauli highway of the district, from the place called ‘Eksadwa’ ahead of the Kolhui, through the road from east to west direction, ‘Banarsinghgarh’ (Vanarsiya art) can be reached. Being headquarter ‘Chankiighat’ from west jungle area, this place can be reached directly. There are several mounds, swords and ponds on the approximately 35 hectares of land. There is also an ancient Shivling and a quadrangular statue of Lord Vaidman. A big fair is held here on the occasion of Shivratri. Some scholars believe it is also the suprax of Aila Udal, hero of Biragotha poetry, the fort of Syedurbanas. This site proves to be a great example of community harmony. Many archaeologists consider this as ‘Devdah’ too. It is located on the south side of Kamatha road from the district headquarter. Its importance is unquestionable in this way that the idol of God is located here, which is very ancient. Many important sculptures have also been received from the lake situated in the Vishnamandir campus. The Bukda Devi Temple is located on a high elevation of 3 Kms on the Jungle route, from the headquarter to the Pharenda on the route leading from the crossroads to the west. This place is in the Chowk forest area. Presently, there is a 30-35 feet tall mound sliver wise and there are also many large lake surroundings. With this in mind, the importance of Sonadi Devi site increases. Dr. Krishnananda Tripathi Sonadi Devi site has become “Sramaner site as” believe because huge banyan tree at the site thousands of years is told earlier that hangs branches still tree | These trees present a wonderful sight. Established a monastery of Gorakhanthi at Sonadi Devi Temple. This temple is located on the right bank of the canal Narayani at 07 KM from the Shahpurpur situated on the Gorakhpur-Maharajganj road, in the village of Badhara Mahant. About the importance of this temple established in 1786, it is said that Vaishnava Ramanujdas was going to Mukti Narayan Nepal with his disciples from Jagannathpuri Orissa. In the night, he dreamed in which the Lord Jagannath, the chief god of Kali Yuga and the achavatara of Lord Vishnu, said in his selfless manner that I want to live here, you establish my vigilance. At that time the area was forest and was under the state of Nepal. After seeing the dream Ramanujas started doing penance here. When the King came to know it, he came here and met Mahatma ji. Mahatma ji told Raja about the dream, then Raja happily got Jagannath Bhagwan to bring Vigilance to the status quo. After that Ramanuj Pariyatra was completed and after establishing a magnificent temple by establishing the Vigraha and creating a magnificent temple there since then regular Roop is worshiped by Narada Peshitra and Niladri sir method. The main event here is Sri Ramanavami, Chandan Yatra, Bath Travel, Lord Jagannath Rath Yatra, Jhulotsav, Shrikrishna Janmashtami, Vijaya Dashmi etc. Every Tuesday and Saturday is the discourse and kirtan, which is the center of faith in this region of Eastern Uttar Pradesh. Narayani River Nepal travels about 80 km from the national highlands and enters the plain part of Nepal’s district, Navlalparaasi and Bihar province, border district of Jhagalnipur from the border town of Bagaha, India. From here it gets its name to be a great river. From here the central stream of this river divides the border of India and Nepal nation. Former Prime Minister of India, Jawaharlal Nehru signed an agreement with King Mahendra Vikram Shah, the then ruler of Nepal, in 1959 for the purpose of developing a city system for irrigation of the Northwestern region of Bihar and the North-Eastern region of Uttar Pradesh. Under this, the construction of Valmiki Nagar Barrage and the Western main Gandak Canal were to be constructed from Nepal’s land area. Taking land of Nepal nation due to geographical and technical reasons was indispensable for the construction of Gandak Nagar system. Instead of this land, the responsibility of protecting the land from flood and erosion to the Nepal border on the right bank of the Gandak river is included in the said agreement of India. 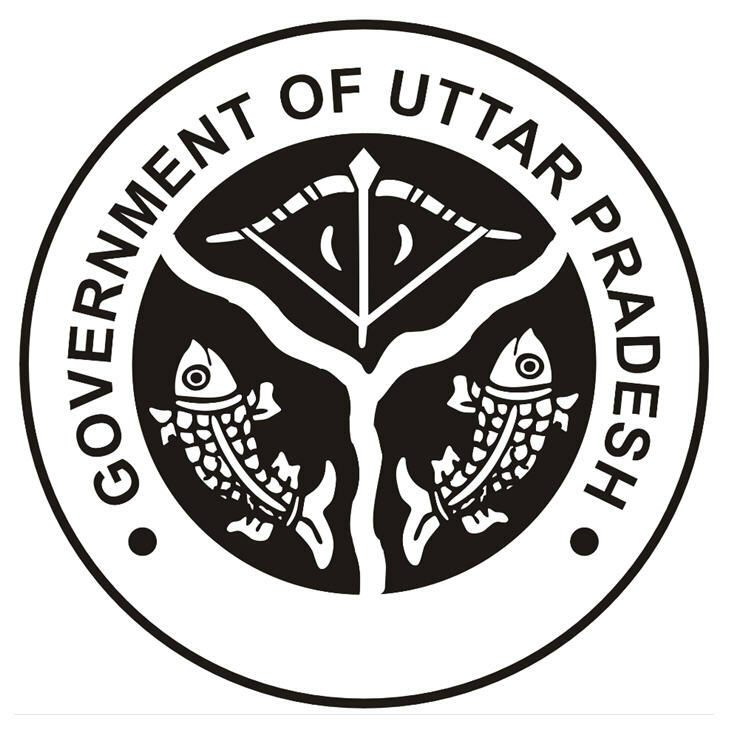 Under this, the irrigation section of the Uttar Pradesh Irrigation and Water Resources Department of the Indian National Commission, constructed by A. Gap Dam length 2.5 km, B Gap Dam length, 7.230 km, Nepal Dam length 12 km and link dam length 2.5 km have been constructed by Maharajganj. Five Adaar Spur has been constructed on the 16 Gap Dam for the prevention of erosion and flooding and 16 dams, Nepal and Link dam. The Central Water Commission (CWC) high level committee (GHLSC-Gandak High Level Sanding Committee) recommends for deep inspection after flood after every year to protect the flood and erosion. On the basis of the above, the irrigation section-2 is prepared by Maharajganj and the Regional Officers are presented in the meeting of Technical Advisory Committee of Uttar Pradesh Irrigation Department. After its approval, the project is approved by Project Permanent Steering Committee of flood control council. And its technical application is obtained from Ganga Flood Control Committee and after completing the required formalities, the dam is secured by doing pre-flood work. Reimbursement of reimbursement of the expenses in the said work is done by the Government of India. Valmiki Nagar Barrage, A-Gap, B-Gap, Wide Plate of Gandak River, Widespread Waters in the North, Wonderful But Beautiful Dangerous Natural Beauty. Shankar Bhagwan’s temple on the banks of the river near Jhulnipur, the Gaja Chamber Temple, Kalakal-Chal-Chhal Hai river is definitely developed as a tourist spot where people come from far away. You can use this site as a beautiful location with a film city. If both India and Nepal develop together as a tourist destination then the overall economic development of the Kshatra can be done. India is the most important gateway of the year, the vast identification of the centuries-old social, economic, diplomatic relations of Nepal and the huge Sonauli entrance of India’s friendly friendship, where there are about 1000 cargo vehicles, 100 tourist vehicles daily and daily to Nepal every day. More than 5000 tourists visit Nepal from this highway every day as this is an open border so people of both countries are walking on foot, which is the most exemplary of India’s friendship. An illustrated place is referred to as the place. It is currently associated with quaternary (forelane). Sohagibarwa Wild life Division was previously part of Gorakhpur Forest Division and was being managed by that territorial division. In 1964, the Gorakhpur Forest division was divided in to North Gorakhpur & South Gorakhpur Forest division by the Govt. order 4052/14-A-575/1973 dated 29/30 June 1964 which was later nullified in 1965 thus maintaining the existence of only Gorakhpur Forest Division. Later on, for the better forest management, the division was again divided into two divisions namely North Gorakhpur & South Gorakhpur division in 1978. Until 1987, Sohagibarwa Wild life Division was being managed as North Gorakhpur territorial forest division. Due to reasonable ecological, floral, faunal, natural and geological presence it was felt to preserve, and develop its wild life and ecology, which necessiated to bring the area under Sanctuary. Sohagibarwa Wild Life Sanctuary is situated geographically in between 26° 58’’ to 27° 25’’ north latitude and 83° 23’’ to 84° 10’’ east longitude of Mahrajganj and Kushinagar district. Sohagibarwa Wild Life Sanctuary is situated geographically in between 26° 58’’ to 27° 25’’ north latitude and 83° 23’’ to 84° 10’’ east longitude of Mahrajganj and Kushinagar district Sohagibarwa wildlife sanctuary can be accessed but rail and Raod. Nearest Railway station is Gorakhpur Jn. Road Distance from Gorakhpur to Maharajganj is about 56 Km. It is also connected to Siswa Railway Station on Gorakhpur-Narkatiaganj-Mujjafarpur Railway line. Road distance from Siswa Railway Station to Maharajganj is about 30 Km. Airport – Nearest Domestic Airport is at Gorakhpur about 76 Km away from Maharajganj. Amausi Airport Lucknow is about 356Km from Maharajganj.